At Gary A. Zucker & Associates, P.C., our clients know that they can place their faith in our abilities. We have helped numerous accident and injury victims in Brooklyn and other parts of New York City seek just compensation for their injuries and losses. This compensation is especially helpful for people who have experienced major head trauma. Traumatic brain injury (TBI) has a lasting impact on a person's wellness, which is why having a lawyer on your side who will fight for you is so important following such incidents. Major incidents that involve head injury as well as repeated blows to the head as a result of any of the above can lead to varying degrees of brain damage. One type of head injury that can be especially serious is the open head injury. During an open head injury, the skull is broken and penetrated. In such cases, damage to the brain can be extremely serious. Concussions occur when the brain makes sudden impact against the skull. Concussions that go untreated can lead to mental and physical disorders, especially when the blows are repeated and occur often. We've read quite a bit about the severe brain damage done to former NFL players, for instance, due to repeated blows to the head, many of which result in concussions. 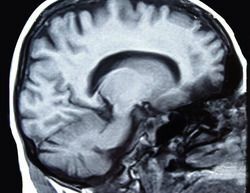 Traumatic brain injuries can affect people in many different ways, and the full extent of the damage done to a person will depend on the nature and severity of the brain damage. In terms of the effects on the victim's mental health, traumatic brain injury sufferers often experience serious issues with cognition and memory, and they may have problems with language and basic alertness or attention. Psychological disturbances and mood disorders are also common for TBI victims. There is a physical toll that brain injuries can take as well. Major brain trauma can result in issues with motor skills and balance, making even the simplest of tasks very difficult to perform. If you or a loved one suffers from a traumatic brain injury due to another person's negligence, it is of the utmost importance that you seek legal assistance. Our attorneys will help you receive just compensation for any injuries sustains and the hardships ahead. On top of seeking compensation for immediate medical bills and emergency care, our attorneys will also seek compensation to cover psychological counseling, prescription medications, and physical rehabilitation. Given that job prospects may be impacted by severe injuries to the brain, we will also seek compensation to cover lost earnings and earning potential. We will be advocates for your needs. If you would like more information about serious brain injuries and how our legal team can help you receive just compensation for such injuries, be sure to contact our personal injury law firm today. The team at Gary A. Zucker & Associates, P.C. looks forward to your visit and helping you deal with the hardships associated with major head trauma.